I am in Norway, in my daughters house, in the lovely town of Tønsberg. I have at last got this far. I have been chasing my tail for over a week and you can be allowed to feel really sorry for my husband who has borne the brunt of it. Every day , I thought today I would paint – but no. What has happened? 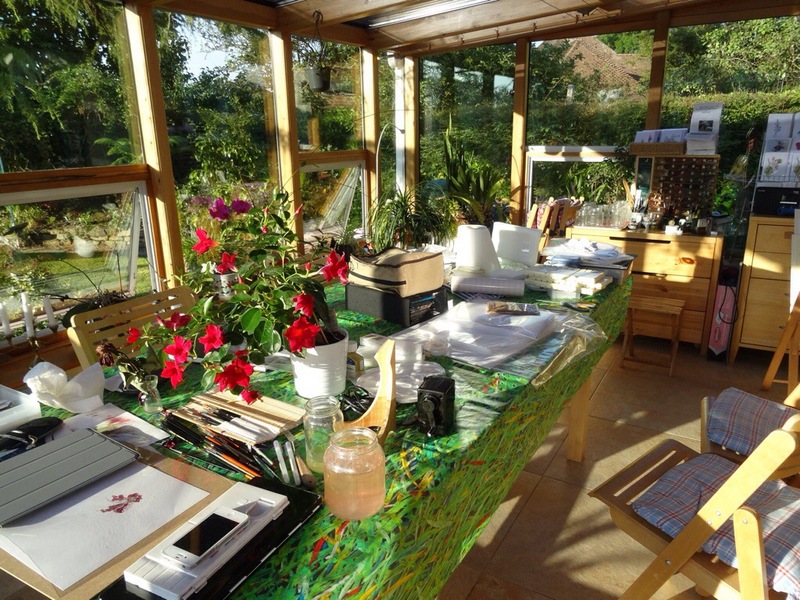 Apart from putting everything together and packing for this workshop, I have marked assignments and spent hours on preparation for the Palmengarten exhibition in Germany. But worst of all, one of our cats – in fact my daughter’s cat on permanent loan to us, suddenly became seriously ill and nearly died. We have spent a lot of time at the vets and he was hospitalised and on drips to give him some fluids. But, we were allowed to bring him home on Wednesday and we can safely say he has definitely used up one of his nine lives. We now have a lovely cat sitter looking after the animals whilst we are away. We travelled to Norway yesterday and tomorrow will be trying to find some suitable plants in preparation for everyone’s arrival tomorrow afternoon. I will also be meeting a lady from the Botany Society who has taken a trip up into the mountains to get some special Norwegian Flora for us. Today was rather cloudy and colder than it has been. In fact my daughter tells me today was the coldest day since March! I have been going on about the beautiful warm weather they have had here. But my tall, strawberry blond daughter is beautifully brown- so it must be true. Hopefully I will get a few minutes each day to keep you updated about the workshop holiday. 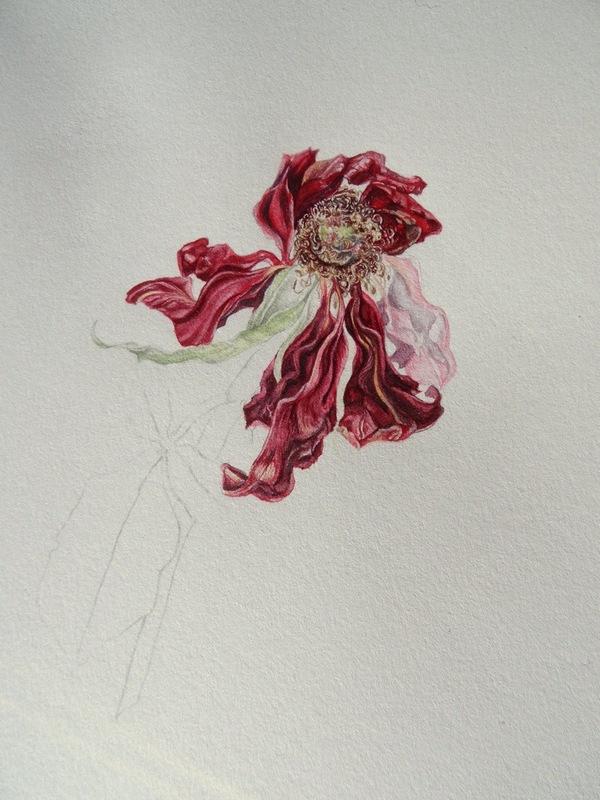 Photos from the small picture of a dead rose head in watercolour. Try as I might I didn’t get a chance to finish it before I left. The other picture is showing a little bit of the chaos in sorting for the Norwegian workshop.